Helpful Animal Rights Organizations & Campaigns! I first became interested in animal rights some time in my mid-teens. That’s when I really started to discover the atrocities people commit against animals. The sad thing is that there’s so much animal cruelty going on in the world. It feels like it’s every day that I hear about a new case of animal cruelty. Some form of it is happening right now …as you’re reading this. It happens in virtually all aspects of life — in the cosmetic industry, in the meat and animal by-product industry, in the fashion industry, in the animal entertainment industry, etc. It’s not just people that abuse their pets, which, don’t get me wrong, is absolutely unacceptable, but there are legal forms of animal cruelty happening all the time. When I started finding out about the amount of animal cruelty that happens every second of the day, I became overwhelmed. How can I, only one person, help animals? I didn’t know what I could do. I mean …I don’t really have much power; I’m not influential on a large scale and I’m not rich. I eventually discovered that there are many animal rights organizations that fight for animal rights and work hard at stopping animal cruelty. Through researching these organizations, I learned what I could do to help animals — easy things, which I posted a bit about a little while ago. So, I thought today I would share with you some of my favourite animal rights organizations/groups, in case you’re interested in getting involved in the fight to end animal cruelty. These groups are always sharing news and simple ways that you can help animals. Even though we’re each only one person, as a group, we have power. Here are some of the organizations that I follow and that I’m involved in. They each work in their own ways toward ending animal cruelty. I hope they’re useful to you! Do you have a favourite animal rights organization? Thank you! It’s unbelievable how many brands continue to test on animals when there are so many others that don’t. 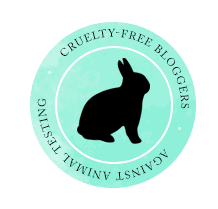 Hopefully over time, there will be more and more brands going cruelty-free!